The abundance of things to do on a Bermuda vacation booked through United Vacations makes the traveler's job easy. Deciding exactly what to do on any given day isn't such a simple task. Plunge into Bermuda's characteristically turquoise waters or take a load off on the island's renowned pink-sand beaches. The number of extensive reefs surrounding the islands provides amazing marine life and a number of shipwrecks that adventurous divers and snorkelers can explore. Beyond the beach, venture to Hamilton, the seaside capital city of Bermuda, where visitors can enjoy a number of attractions from museums and galleries to restaurants and bars, and plenty of shopping. Stroll through the quaint city's many charming plazas, lush parks, and charming pastel-colored architecture. And what you can take away from your Bermuda vacation is that life is best taken easy. United Vacations is your source of vacation packages to great destinations around the world like Bermuda. Book your next vacation with United Vacations today. 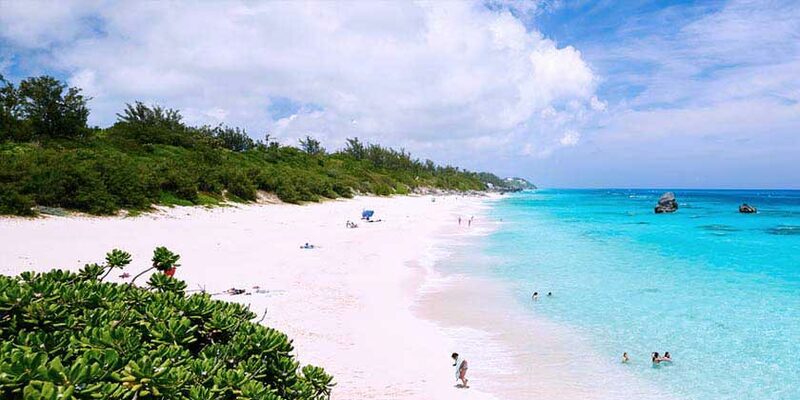 Enjoy sights of St George's on this half-day tour of Bermuda! Take a guided visit of Tucker's Town, Spittal Pond, Palm Groves Garden and more. Resort info: Bermuda’s premier luxury resort, Fairmont Southampton sits atop the highest point in Bermuda offering stunning panoramic views of the aquamarine waters and pink sand beach of Bermuda's South Shore. Resort info: On the shores of a picturesque natural harbor, this alluring hideaway is an elegant tribute to the old world splendor of Bermuda. Resort info: Set amidst 21-acres of lush tropical gardens and a private beach, this island getaway is a natural choice for your next family getaway. Resort info: Set amidst exotic statues and sparkling fountains, this family-friendly hotel offers comfortable Bermudian-style accommodations.